Ice cold beer, free food, friendly bartenders. What more could you want from a neighborhood bar?  The Three Legged Monkey Pub, located in San Antonio, Texas, is the perfect place to relax, hit up some games & have drinks with friends. At The Monkey, there’s always something to do. We offer several amenities including pool, darts, giant jenga, beer pong, giant connect four, suffleboard & more! We are open Monday-Saturday from 2PM-2AM & Sunday 12PM-2AM. Happy Hour is available every day until 8PM. Take advantage of our awesome daily drink specials any night of the week. At The Three Legged Monkey, we’ve got something for everyone. Feeling adventurous? Choose from one of our 25 specialty shots available all the time. We suggest starting with a Starburst Bomb Shot...sooo good! Check back here frequently to see what kind of fun, special events we have coming up. We now offer FREE Live Trivia on Tuesdays starting at 9:30pm! Prizes for 1st, 2nd & 3rd are $50, $20, $10, consecutively. Did you know we have several other locations in San Antonio, Texas. We're part of the same family as The Hangar Bar & Grill, Stout House and The Ringer Pub. Learn more about these and other venues we operate under locations, or visit our home site www.SATXBars.com.